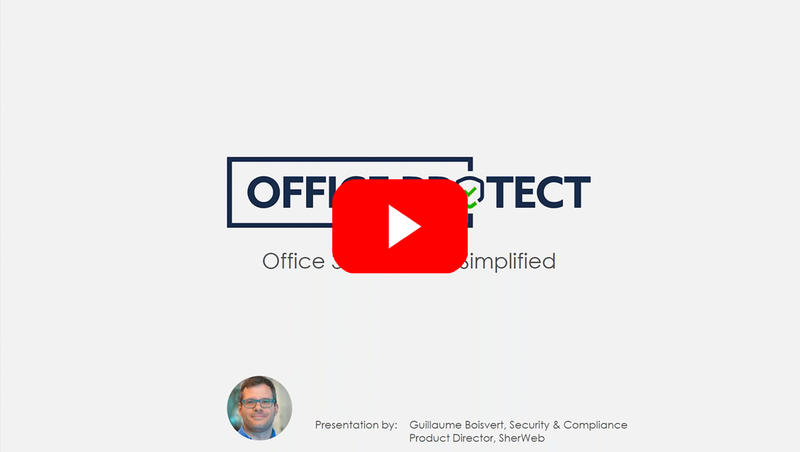 Join us on April 2 for a webinar about Office Protect, SherWeb’s latest security tool for Office 365. We'll tell you all about the latest features and how your clients can benefit from this solution. Please enter your email address to get access to the On-Demand Webinar on Discover the Latest Features in Office Protect.